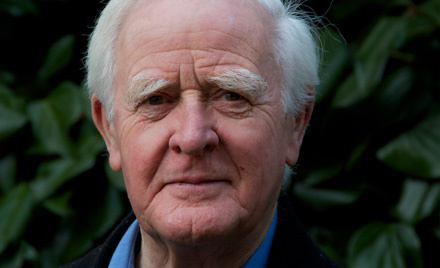 John Le Carre is a masterful writer; he creates satisfyingly complex plots and beautifully detailed characters. With prose that is elegant, muscular, sometimes moving and sometimes witty, he writes novels about espionage that manage to transcend their own genre. Le Carre betrayed by ‘bad lot’ spy Kim Philby; by Jon Snow, Channel 4, 13 Sept. 2010. How to Show (Not Tell): A Writing Lesson From John Le Carre; by Mary Jaksch, Write to Done website. “A desk is a dangerous place from which to view the world”. For more information on Conversations of Intrigue please look here. For information about why I am referring to Tinker Tailor Soldier Spy please look here.